The LGBTQIA+ population faces a special and unique set of social, behavioral, and psychological obstacles that render them at heightened vulnerability to SUD. Between higher levels of physical assault, rampant discrimination, community marginalization, and internalizing the bigotry they often face, members of this community are often compelled to self-medicate with alcohol and other drugs. In an effort to reduce rates of long-term drug and alcohol abuse among this population, more and more treatment centers have begun to provide specialized and intuitive care services to help them overcome their addiction and co-occurring trauma and mental health issues. Ohio is home to a sizable population of LGBTQIA, many of whom unfortunately face lifestyle-related adversity on a daily basis that leads them to cope by using drugs and alcohol. To that end, treatment centers in the state have exhibited more sensitivity to this issue by offering specialized care. LGBTQIA rehabs consist of group therapy, individualized counseling, and supplemental therapies to help patients address the root causes of their substance abuse and develop coping mechanisms to help insulate them from relapse. These programs can be administered in a residential, outpatient, or IOP treatment setting depending on each patient’s care needs. 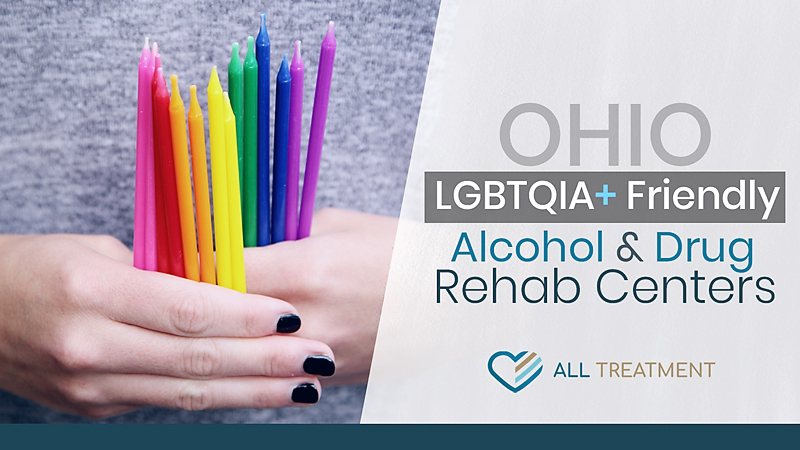 Browse our database of Ohio LGBTQIA alcohol and drug rehab centers now.